Although warts don’t pose any serious health risk, their appearance can be anything but welcome. These growths are not only unsightly, they can also cause discomfort, depending upon their location. 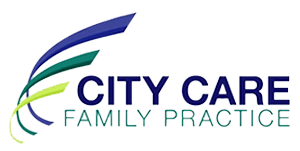 To rid yourself of warts, once and for all, call on the expertise of the medical experts City Care Family Practice in Murray Hill on the east side of Manhattan, New York. For expert wart removal, call to make an appointment, or use the online scheduling tool. Warts are benign (noncancerous) growths that appear on the surface of your skin, typically on your hands, face, and feet. Warts are caused by the human papillomavirus, or HPV, which infects your skin, causing extra skin cell growth on the surface. Since warts are caused by HPV, they are contagious, which means they should be dealt with promptly. Common warts are generally skin-colored lumps that appear first on your fingers and hands. The reason these warts can sometimes be found on the face is that they can spread from your hands through biting your nails or because of hangnails, both of which are common among children. The growths themselves are often rough and lumpy and some have a black dot in the center called a seed. This type of wart is found on your feet, usually on the soles. Plantar warts typically grow in clusters and many can grow inward, causing discomfort as you walk. Most plantar warts have a black dot in the center, which is a broken blood vessel. Flat warts are flatter, smaller, and smoother than common warts and usually appear in groups of 20-100. Women usually get flat warts on their legs, while men tend to develop them on their face in the beard area. There’s a more severe form of warts called filiform warts, which grow incredibly quickly on the face and hands and are usually a result of a weakened immune system. It’s important to note that there’s no cure for warts, so you have to treat them as they appear. 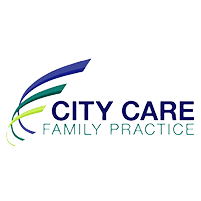 After you’ve had your wart removed, it may return, in which case you simply return to City Care Family Practice. For other patients, all it takes is one treatment. If you want to get rid of unsightly or uncomfortable warts, call City Care Family Practice, or schedule an appointment using the convenient online booking tool.